The Carling Apollo in Queen Caroline Street has applied for permission to vary its premises licence. If successful it will be allowed to run events for several thousand people up until 2.00am on up to twenty occasions per year. You can view the details of the application by clicking here. The law requires that the licence will be granted if people do not send in any objections. People may want to express their opposition to this variation in light of the recent problems suffered by the Apollo’s residential neighbours. If you want to object then I advise that you specify your concerns about all the different types of nuisance this variation to the licence may cause. You should click here to do so. You must send your objection in by 6th November. Please email me here if you want me to speak against the application when it goes to the licensing committee. The Licensing Committee is chaired by Cllr. Alex Karmel (Con), who is a decent man and I'm sure he will genuinely listen to all the comments on this matter. I live on the estate behind the Hammersmith Apollo and every week from Thursday night to early hours on Sunday i hear some of what goes on late at night from that area, bottles breaking, loud shouting and screaming and a regular wail of police sirens to the area. That is with current licencing so i shudder to think what time things will settle down as users of the Apollo empty out of the premisis, mindless on Alcohol and behaving antisocially and without consideration for local residents, often being violent and causing criminal damage as well. if anything current hours should be shortened to more like 22:00Hrs so the police presence in Hammersmith can deal with them effectively and have the area disperessed easier for the peace of local residents. 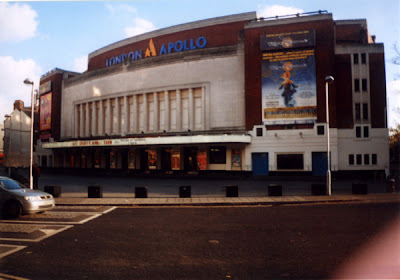 If the hours are extendid it means that police will be directed to deal with problems arising from drunken visitors to the Apollo until the early hours when other spots in Hammersamith also need to be policed. I am against any extesion to their licencing hours, it causes enough problems as it is. I understand people want to enjoy a night out but those people seem to forget the area is residential and local folk live there!